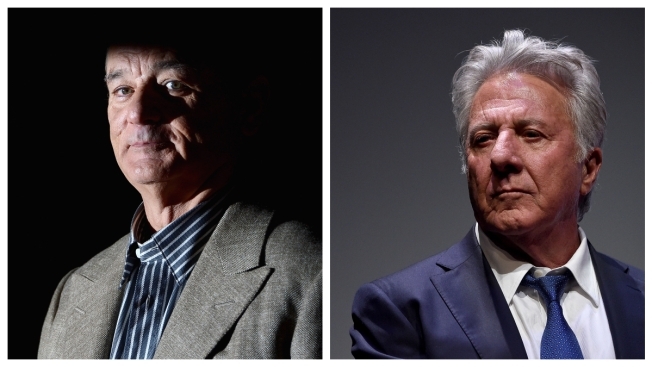 Bill Murray (left) spoke out in defense of his "Tootsie" co-star Dustin Hoffman. Murray called Hoffman "crazy" and a "Borscht Belt flirt," but a "sweet man." During an event last December at the Y, Hoffman was chastised by interviewer John Oliver over allegations he had groped an intern while making a TV movie of "Death of a Salesman" in the 1980s. Hoffman denied any wrongdoing and said Oliver was making "an incredible assumption" about him.